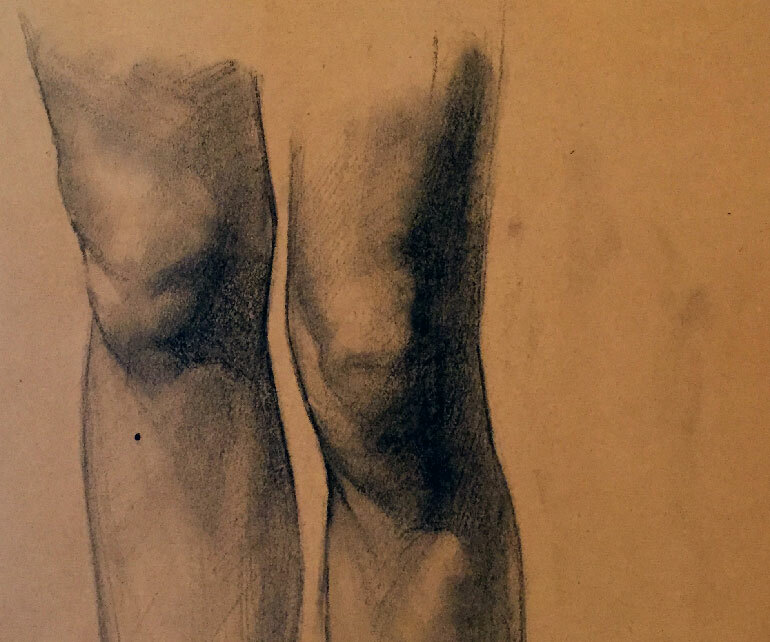 PUEBLO – An exhibition of figure drawings by Colorado artist C. Waldo Love will be on display at the Colorado State University-Pueblo Fine Arts Galley through March 31. The opening of The Conscientious Eye – Drawings by C. Waldo Love will be held 5-7 p.m. on Thursday, March 1 and include a presentation and exhibit of nature dioramas inspired by Love’s work and created by CSU-Pueblo art and biology students. Born in Washington D.C., Charles Waldo Love was a long-time staff member in Denver at the Museum of Natural History, where he created habitat backgrounds, many of them atmospheric, colorful dioramas. He also was employed by the Colorado State Historical Society and did a number of historical portraits. On display in the CSU-Pueblo Fine Arts Gallery will be drawings he completed between 1899 and 1902 while he was a student of Henry Read (a founder of what would become the Denver Art Museum) at the Read Art School. On the basis of this work in 1902, he won a scholarship to the Art Students’ League in New York City. From there, C. Waldo Love went on to study in Paris and worked as a commercial artist in New York City. In 1937, he returned to Denver for a position creating the dioramas he become known for until his retirement in 1954. Wildlife and Natural Resource majors: Makenna Fair, senior from Boone, Jessica Gorski, senior from West Virginia, and Rocky Spencer, senior from Colorado Springs, drawing inspiration from some of C. Waldo Love’s work, created nature dioramas, viewable in the Life Science Building. Beginning at 5 p.m., they will talk about the creation of their dioramas. Dioramas created by CSU-Pueblo art students also will be on display. The event is free and open to the public. Refreshments will be provided. For more information, contact Gallery Director Caroline Peters, associate professor of contemporary theory and art history, at caroline.peters@csupueblo.edu or 719-549-2404.